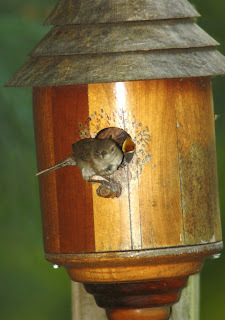 I never saw her building a nest in this box, but a couple days ago, I heard the babies "twittering" inside...seems they are almost ready to fledge! 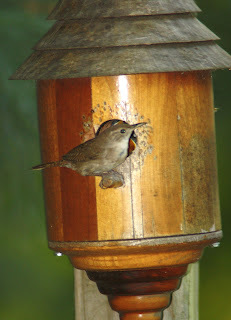 Isn't it awfully late for wrens to be nesting? I guess she doesn't think so.